Thank you for your interest in the Padre Island Business Association. Our dues are $95 per year. Our regular events include a monthly luncheon - the 2nd Thursday of every month, noon at the Schlitterbahn Resort, 14383 Commodores, $15 per person includes a lunch buffet. We have a featured speaker every month. Our Other regular event is a monthly mixer - the third Tuesday of the month. Location changes and is hosted by one of our members. There is no charge and it is a great way to network, etc. Be sure to bring your business cards for door prizes and for networking. For new businesses, we conduct ribbon cuttings. Our Padre Island Business Bulletin is a 36-40 page magazine DIRECT MAILED to over *5500* residential addresses on Padre Island as well as over *400* business addresses on Padre Island, Flour Bluff and in Corpus Christi. Members receive 10% discount on all advertising. Please call Jim Carl at 361-443-8019 or email him JimCarl1025@gmail.com (click to email) for advertising information. Let us know if you have any questions or need additional information. We hope to welcome you soon to the PIBA family! 1Can I join for FREE? We always welcome guests to all our events as we want you to take part in the organization and get to meet & greet our members. When you are ready there is a fee of $95 to join which gives you many benefits we will discuss with you. 2How much is it to Join? PIBA Monthly luncheon is open for sponsorship. 2. Recognition in the Bulletin following lunch, recapping the luncheon w/ pictures, etc. 7. You can bring a sign to display at the luncheon (let us know if you need an easel). 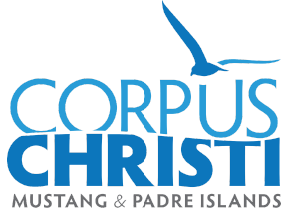 Please contact Padre Island Business Association if you would like to be a luncheon sponsor.